WORCESTER-Sara A. 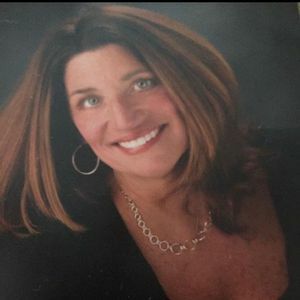 (Capstick) Ross, 53, a lifelong Worcester Educator passed away Saturday, December 29 at home, surrounded by her family after a five year courageous battle with cancer. Sara began her 30 year career as a teacher at Chandler Elementary School and went on to become Assistant Principal at Chandler, City View and Roosevelt Elementary Schools. For the last two years she had been working as the Assistant Principal at Elm Park Elementary School. Sara's unwavering work ethic was obvious as she continued to work right up until she was physically unable. She was the recipient of several Worcester Public School awards, including the Administrator of the Year this past August. She was born in Worcester, daughter of the late, Paul E. Capstick and Constance L. (Collins) Capstick of Worcester and she graduated from South High School and UMASS Amherst. She received a Master's degree in School Administration from Worcester State University and a Master's degree in Education from Anna Maria College. She was a longtime member of the First Baptist Church. Sara's greatest love of all was spending time with her family and friends, especially at her home on Hampton Beach. She leaves her husband of 24 years, Bradford T. "Toby" Ross; three children, Kylie N. Ross, Bradford P. Ross and Paul M. Ross all of Worcester; her beloved dog, Lucy; four siblings, Paul R. Capstick, Edward J. Capstick and his wife, Ellen and John Capstick all of Worcester and Annmarie Dilawar of Lansing, MI; her mother-in-law, Carole Wallace of Exeter, NH; her sister-in-law, Beth Ross of Elliot, ME, her nieces and nephews, Melissa Sleeper, Whitney Capstick, Paul Capstick, Eddie Capstick, Emily Capstick and Mikayla Ciesluk and many close friends that have supported her throughout her illness. Sara and Toby express gratitude to all the doctors and nurses at Dana Farber and Overlook Hospice who provided world class care. Family and friends will honor, remember and celebrate Sara's life during her visiting hours on Thursday, January 3 from 4 to 8 p.m. at the Callahan, Fay & Caswell Funeral Home, 61 Myrtle Street, Worcester. The Funeral Service will be Friday January 4th at 11a.m. in The First Baptist Church, 111 Park Avenue. Burial will be in Worcester County Memorial Park, Paxton. In lieu of flowers, memorial donations may be made to, the Ross Children Educational Fund at TD Bank, 295 Park Avenue, Worcester, 01609. Add your thoughts, prayers or a condolence to Sara's guestbook. Please enhance this tribute to Sara by adding your memories and photos.